I am just a gal who loves fashion, modern and vintage! I have a vintage store where I sell wearable vintage clothing that will fit into your everyday wardrobe to help you stand out. Stop by my store to to purchase the vintage pieces you see here, https://www.etsy.com/shop/ScarletFury?ref=si_shop. Follow me on PINTEREST, Scarlet Fury Vintage, I am a pin addict! I am pinning looks from this website daily! 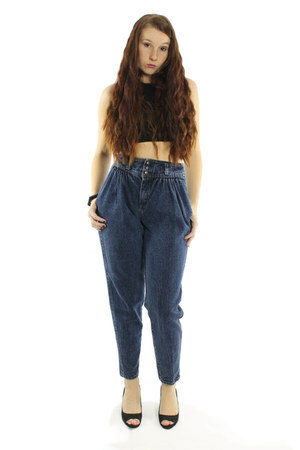 High waisted denim dream jeans! Cozy vintage cardigan, so cold here!